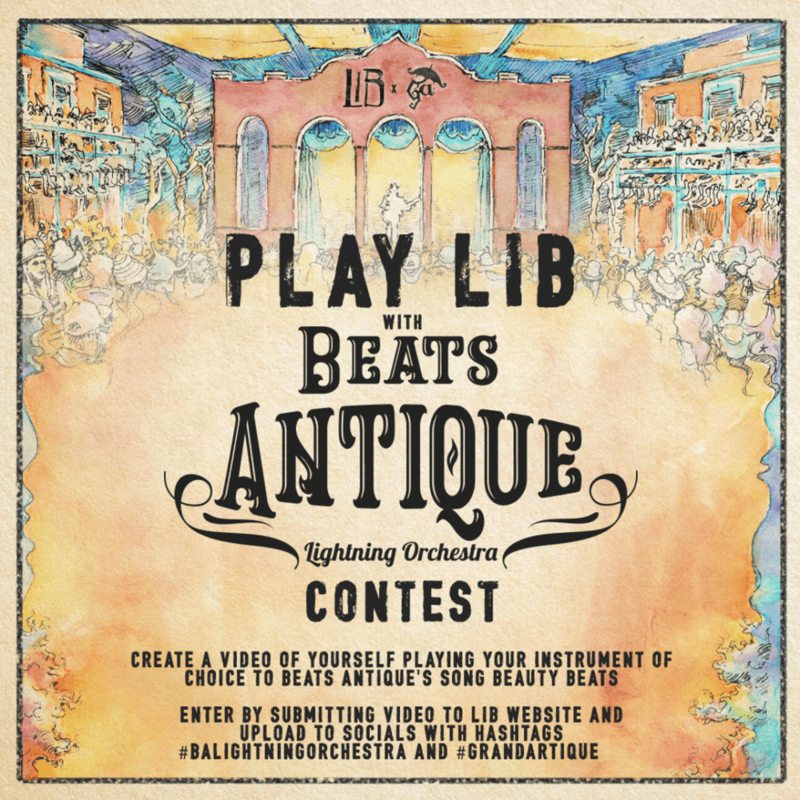 Do LaB & Beats Antique Lightning in a Bottle Contest! Lightning in a Bottle is right around the corner, and YOU have a chance to not only go, but perform live as well! Do LaB have announced that, in partnership with the Grand Artique, they will be offering one musician and one performer the chance to perform at Lightning in a Bottle alongside Beats Antique’s Lighting Orchestra. This contest calls upon musicians and performers across North America to showcase their skills for a chance to win a Lightning in a Bottle Festival Pass and the opportunity to play a dream gig on the famed western frontier of the Grand Artique.To enter, fans must submit a video playing or performing to Beats Antique’s hit track “Beauty Beats.”With one of Lightning in a Bottle’s best lineups yet, winners will have the opportunity to showcase their talent amongst an eclectic assemblage of artists under the Grand Artique’s timelessly vintage stage design. Joining the Beats Antique Lightning Orchestra at the Grand Artique will be New York’s brasshouse trio Too Many Zooz, West Coast Rap icon Lyrics Born, seven piece funk and soul band Con Brio, festival scene favorites The California Honeydrops, Indie Folk Pop upstarts Shook Twins, Grand Artique mainstays The Herbert Bail Orchestra, and many more.